We are honored to present new model - Asti. 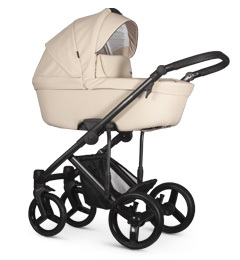 Sophisticated and comfortable travel system from new Spring Collection. The spacious unit has generous dimensions for a comfort of a baby. 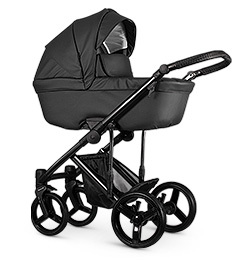 A characteristic feature of this stroller is the base and the hood - made entirely of an elegant eco-friendly leather and a stylish notched handle, which not only looks great but also provides a better grasp. 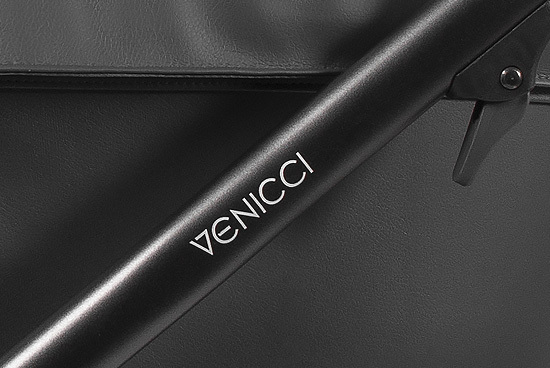 In addition, on the inside of the hood there is an aesthetic embroidered Venicci logo. Attention is also drawn to the metal engraved company's logo on the cover of carrycot. Our experts ameliorated the functionality of Asti model. The frame is equipped with adjustable shock absorbers and safe and comfortable buttons for its assembly. 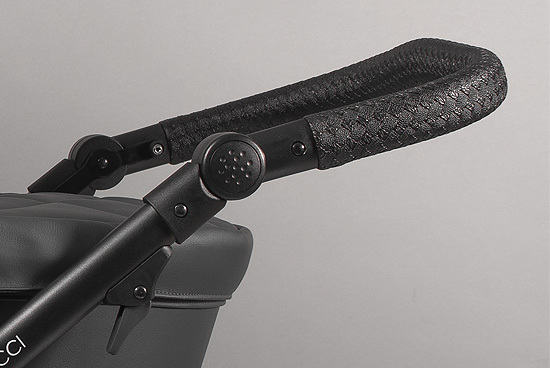 The brake is placed in the middle of the axle, so you can easily turn it on by both - left and right foot. 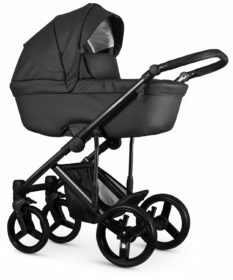 In summary, Asti has been carefully considered, with everything parents love, world-class quality, practicality & character of the model being top priorities. 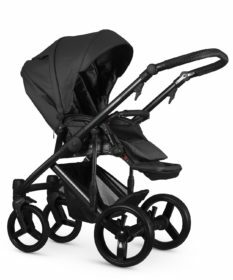 It is an ideal travel system for mothers and fathers who like to stand out but appreciate the classic, elegant look of the pram. Our designers paid lots of attention to the details – to make this pram unique, safe yet fashionable. 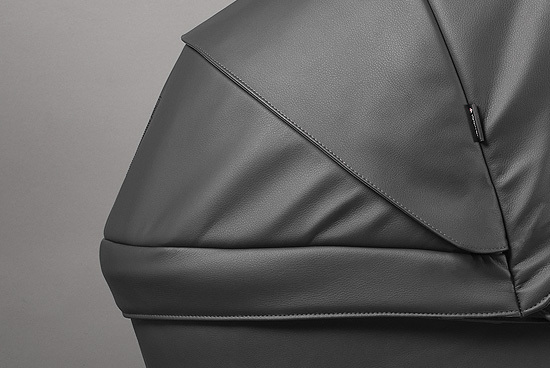 Elegant eco-friendly leather (available in various colors). 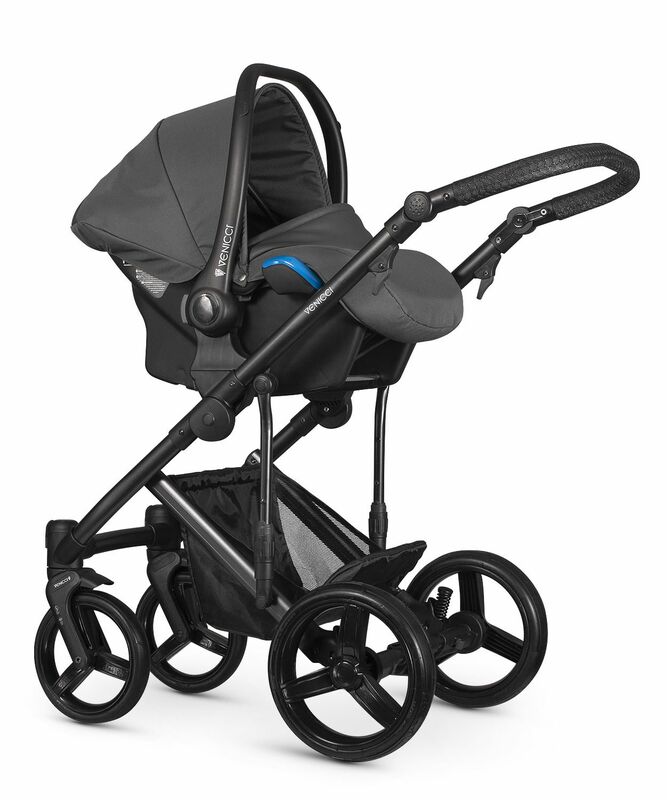 The frame is equipped with adjustable shock absorbers.